The weather has been unseasonably warm in recent days in Los Angeles and as much as we love posting beach selfies on social media while our friends are shivering in the cold, there is a lot to worry about. So far El Niño hasn’t delivered on the promise of alleviating the drought. While forecasters says that El Niño isn’t quite done yet, many people are wondering how California will deal with another hot, dry summer. Last year, the Governor called for drastic reductions in water use. One program that Southern Californians quickly adopted was the turf removal program from the Metropolitan Water District of Southern California (MWD) that offered cash to businesses and individuals who replaced their lawns with drought-tolerant landscaping. The so-called “cash for grass” program is coming to an end. The LA Times reports that the agency is planning to mostly use its budget for the next two fiscal years for rebates for water-conserving devices such as high-efficiency toilets and washing machines. Some environmental groups have said that the stopping the program is a mistake especially since so many people took part in it. The news comes on the heels of a recent survey from the MWD that pointed out that drought fatigue could become a major issue. For the last year Southern Californians have been inundated with messages about the drought. Most people feel they’ve done all they can. While the state met the Governor’s mandated 25 percent reduction each month from June to September, the state has lagged missing the target three months in a row, partly because residents expected a strong storm season would bring rains. The survey found that 62 percent of respondents said they “strongly agree” that they had saved as much water as they could. It’s too soon to tell how we are actually fairing in the war against the drought. By April we should know if the Sierra Nevada snowpack will be deep enough to alleviate immediate concerns. The snowpack supplies about 30 percent of California’s water needs. Results of the winter’s second snow survey by the Department of Water Resources (DWR) showed that rainfall and the Sierra Nevada snowpack’s water content are both markedly improved this water year, and storage in the state’s major reservoirs also has increased significantly since January 1. However a release on the subject was quick to point out that while precipitation this water year is improved over last year, the drought is far from over. Most of the state’s major reservoirs still hold much less than their historical averages for early February and Californians are encouraged to continue their water conservation. If more conservation is needed, local and statewide governments will have to work doubly hard to convince citizens to redouble their conservation efforts. 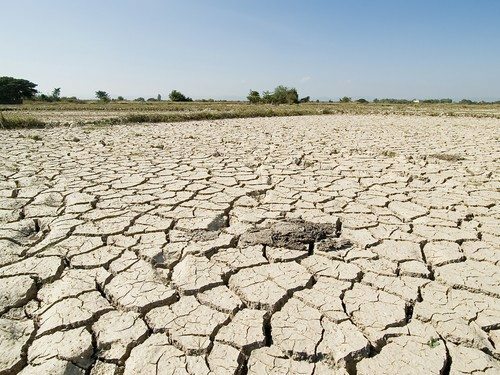 Last year’s drought led to speculation on whether or not prolonged drought conditions would impact the Southern California real estate market. So far, prices have continued to rise even as lack of water conservation in luxury areas such as Beverly Hills have prompted fines and episodes of drought-shaming. However a “megadrought” could have implications that would last far beyond a warm winter.